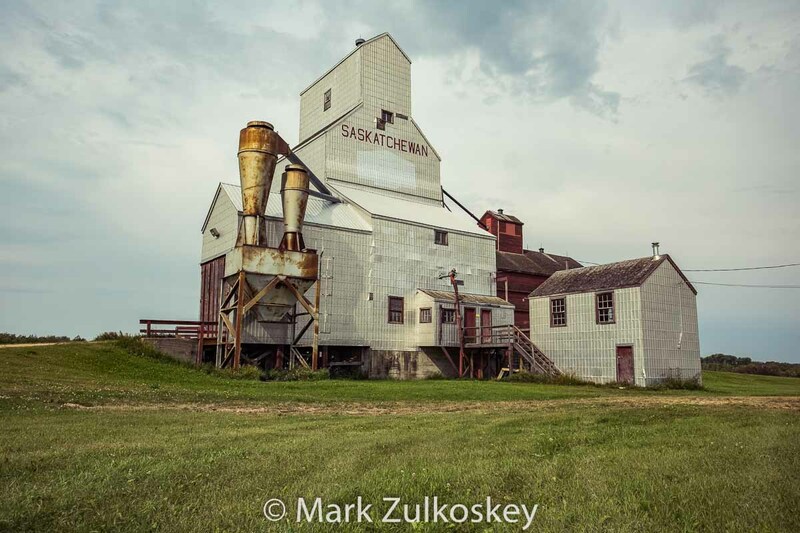 Sylvania, SK grain elevator, 2016. Contributed by Mark Zulkoskey. 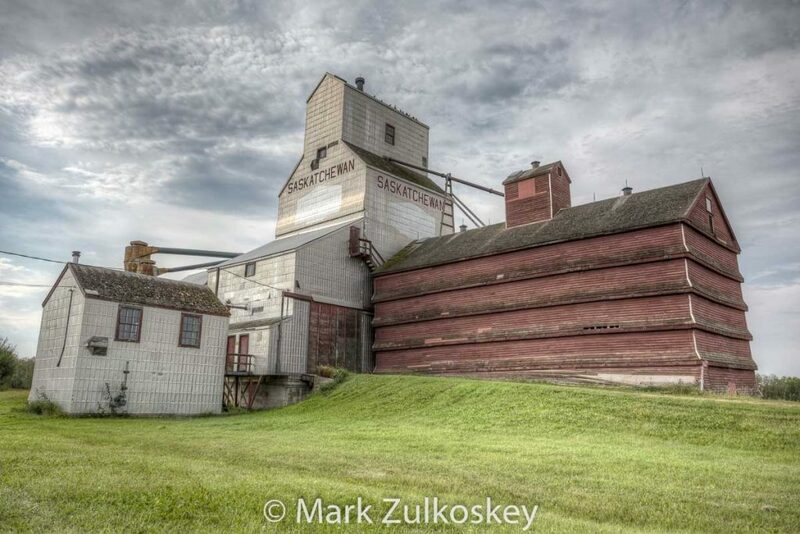 The grain elevator in Sylvania, Saskatchewan was built in 1933 in Golburn, SK. It was moved to Sylvania at an unknown date. It was significantly renovated in 1947, but it still retains its low annex and detached office. 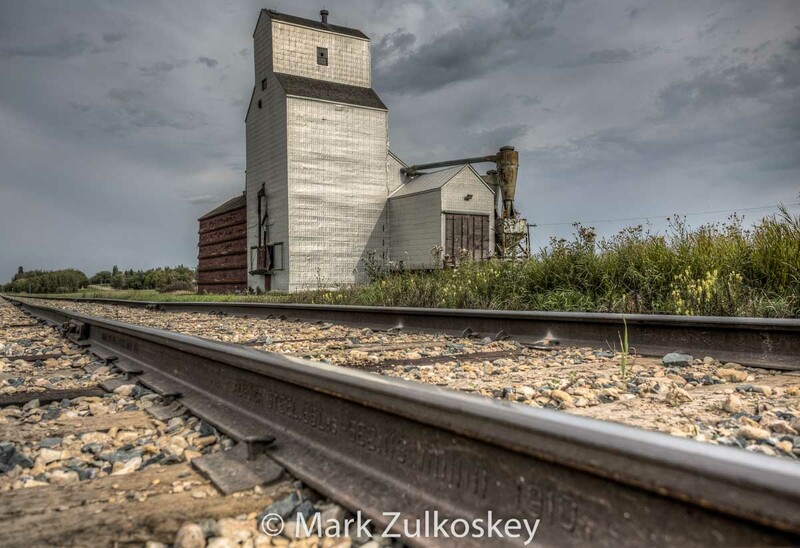 Grain elevator in Sylvania, SK, 2016. Contributed by Mark Zulkoskey.